This was the view from my window in April. What started as a sunny spring day, soon looked more like winter. Weather can change that quickly, which is why you need a backup plan for your outdoor wedding ceremony. 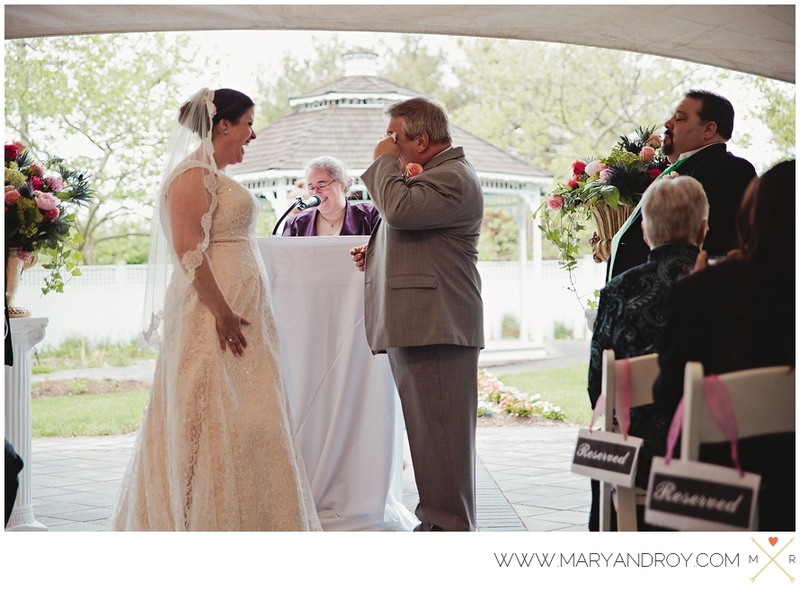 An outdoor wedding ceremony can be a wonderful, beautiful, event. Imagine the summer sun shining down on you, a cool breeze ruffling your partner’s hair as they say their vows, and your guests basking in the glow with you. Or perhaps you picture yourself getting married in October, with a nip in the air and a backdrop of lush autumn colors. Lauren and Johnny were married in a beautiful June ceremony at the Barn at Perona Farms in Sussex County, New Jersey. There ceremony was a tribute to love and family with their sisters standing up for them at a beautiful floral arch with the barn as a backdrop. 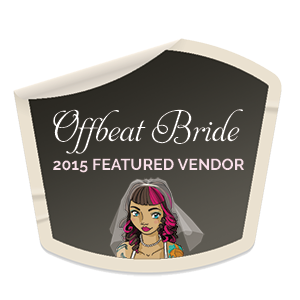 No matter the time of year, or whether your ceremony will be in a formal garden, on the beach, at a campsite, or even your back yard, when you plan your outdoor wedding, there’s one thing to remember, and that’s a backup plan. I love outdoor weddings, but I always ask the couple, what’s your Plan B? Having a backup plan isn’t just about rain. 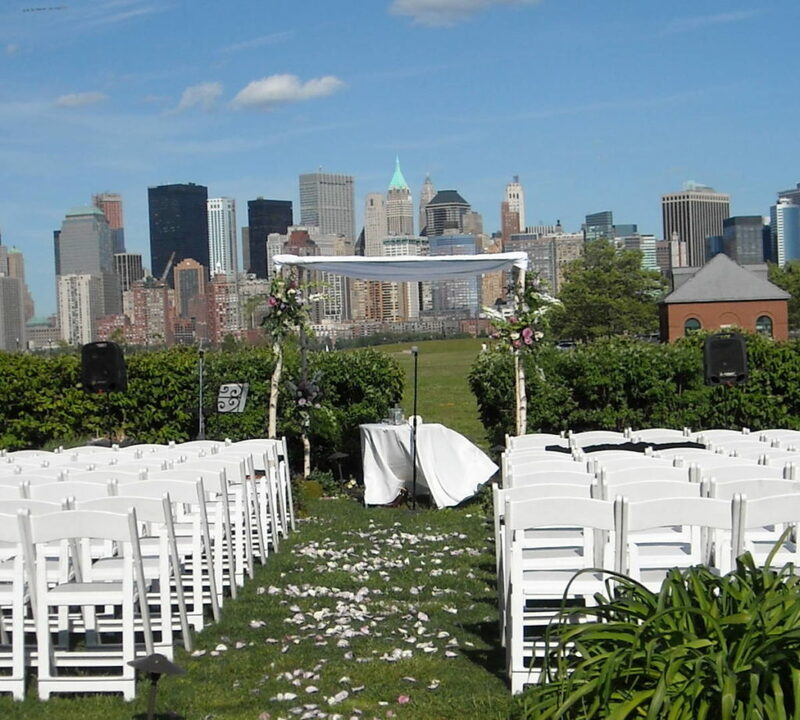 There are any number of things can affect an outdoor wedding. Having a backup plan gives you a safety net, so you can enjoy your wedding, no matter the weather. Rain or snow (depending on the season) may come to mind at first, but it’s also possible to have too good of a day. Extreme heat can make you want to move inside, for your own comfort and that of your guests. The weather the day or night before your wedding can play a role in your outdoor wedding as well. That beautifully manicured country club lawn could be a quagmire if it rained the night before. And the ground could be too wet, not just for your wedding party, but for your DJ or musicians, especially if they require electricity to work. Over the years, I’ve learned that it’s not enough to just ask IF your venue has an indoor ceremony space that you can use. You also need to discuss the conditions under which you can to move your outdoor wedding inside. Sadly, I did officiate one outdoor wedding where, despite having space, the venue didn’t let the couple move the ceremony indoors, because the rain had stopped an hour before the ceremony. As a result, the guests had damp seats and the ceremony took place in a dripping gazebo. To avoid a situation like this, have a detailed discussion with prospective venues about the backup space and when you can use it. Megan and Johnnie celebrated their wedding under a tent where we could enjoy the light of that spring day, without worrying about the weather. Make sure you see the space, so you know what setup will needed. Is it a room indoors or a tent? Is there enough space available—both ceremony space and guest space? How much time will you need to switch from outside to inside and what’s the earliest and latest that the venue will let you make that switch? What weather conditions will they consider a reason to switch? Is it only for rain? Or will they let you move indoors for oppressive heat or a very windy day? Try to get your backup plan in writing. This way, if you’re dealing with other staff on the day of your wedding, you can point to it to clear up any misunderstandings. 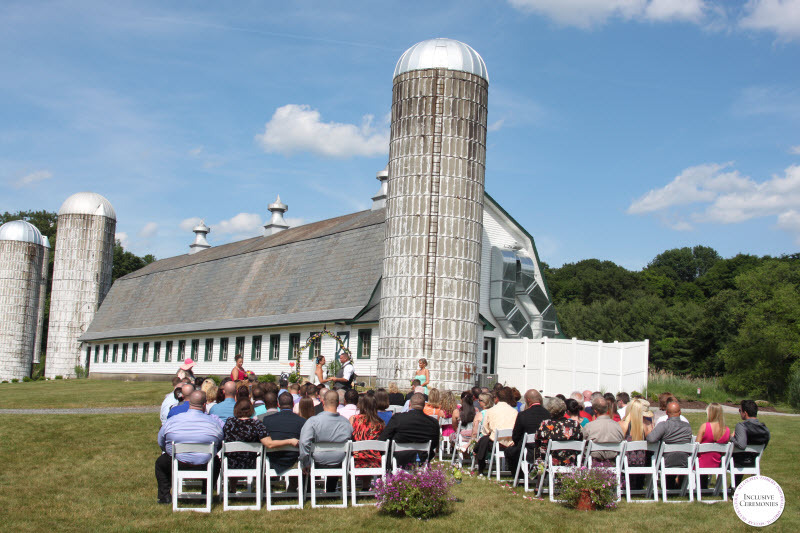 In a wide-open space, wind can play a role in your outdoor wedding ceremony. 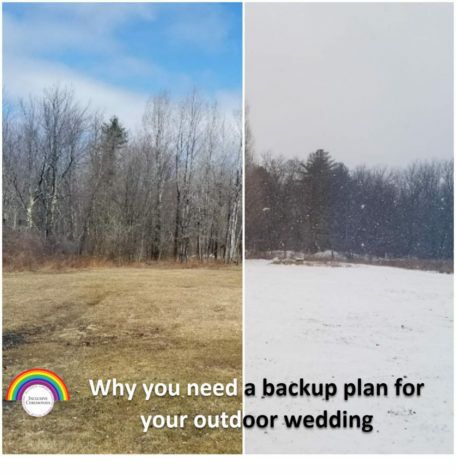 Backup options if your outdoor wedding is DIY? For outdoor weddings, you might rent a tent as the backup or even already have one planned for dining after the ceremony. If that’s not an option, you may need to get creative with your backup plan. You might opt for an alternate location. You might use the space that’s available. For intimate backyard weddings, you could just move inside. If you have enough room for everyone, it might be a little snug, but that closeness could turn out to be one of your fondest wedding memories. You might have a rain date. This can work if your outdoor wedding is a small gathering with local guests and if you don’t have to worry about your ceremony space being available, for example if it’s your back yard. You might ask your reception site. If you’re planning a reception at a restaurant, you can see if they have a space you can use if need be. There may be a charge for this, but it doesn’t hurt to check. I’ve officiated wedding ceremonies in pouring rain under cover of umbrellas, in blistering heat, and in the cold of winter. While not ideal circumstances, they were certainly memorable. The rainy-day ceremonies tended to be casual, intimate gatherings with a handful of very close friends, but it does say something about the support you have as a couple if your friends will stand up for you in a monsoon! You may do the I dos privately. When we got married, the park where we had our ceremony didn’t have an indoor backup space. Our reception venue didn’t accommodate ceremonies, and our living room couldn’t fit 100 people. Our plan B was to have the ceremony in the living room with just the wedding party and immediate family present and with our guests meeting us later at the reception. It wasn’t an ideal plan, and luckily, we didn’t need to use it, but having the plan brought us a sense of security during a hectic time. Don’t let this discourage you from planning an outdoor wedding. I’ve been celebrating marriages for over a decade now. I think at least half of the ceremonies have been outdoor weddings. And one thing seems to hold true—the couples with a backup plan rarely needed to use it. So, keep planning your outdoor wedding. It’s going to be amazing! Just remember to make a backup part of your wedding plan. 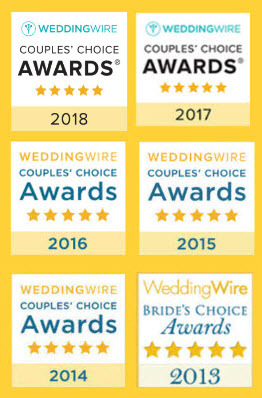 Wedding Tips, Trends, and Helpful Ideas in your mailbox. Free. I never, ever share your email address. 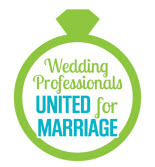 Proud ally and supporter of marriage equality. Free tips, trends, and ideas.